Secrets of the Red Box is a predictable but still enticing mystery. 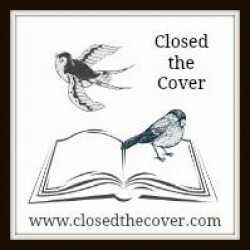 Throughout every word of the story I found myself feeling confused and curious, as any reader would hope to feel while reading a mystery, however this was not always a good reaction. It was captivating and interesting, drawing me with every turn of the page but at the same time it was tedious and predictable. Endlessly conflicting and emotionally tumultuous, Secrets of the Red Box is a mystery worth reading however it falls short of being spectacular. Set in America during the 1940’s Bonnie escapes to Omaha, Nebraska to hide away and start a new life. Bonnie changes her name, finds a new career, and is determined to build a brand-new life. Her goal is to move beyond the secrets that are hidden inside the red box. It does become a bit involved at times as Bonnie’s lies build one atop another until it’s hard to remember what her true story is and what her lies have created. The only truths that are constant about Bonnie’s life is that she was horridly abused as a child and has only ever loved one man, a man named Glen. I struggled with my feelings toward Bonnie. Any time the story referenced her abusive past and her horrible father I felt nothing but sympathy and heartache for the little girl. I felt the protective feelings that anyone would expect to feel toward an abused child. Toward Bonnie as an adult, I struggled to feel the same sympathy. I lacked any kind of emotional connection with her as a grown woman. She was distant, somewhat cold, and disconnected. Yes, she fell in love with Glen but this warmth in the character may simply come too late. I struggled with my feelings toward Glen as well. I wanted to enjoy his character but he fell flat. I couldn’t connect with him or his story. He was very one-dimensional and I didn’t see any growth or character development in him. I had no dislike for the character but was more of a plot-point to keep the story moving along and less of a critical component to Bonnie’s personal story. The main characters were average. Once again, I had no strong dislike for them yet at the same time I wasn’t attached to them or their story. There were more than a couple of moments in the book where the story was slow and there appeared to be an excessive of filler in the pages. It’s challenging to consider this a flaw with the book as there are readers who love minute details so that they can become fully engrossed in every intricacy of the character and their story; then, there are readers like me who can find the minute details tedious and cumbersome. I could have probably cut at least 50 pages from the book and still felt like I wasn’t missing out on any content. There were typos and grammatical errors all throughout the text. This book would have benefited greatly had it been perused by a good proofreader or editor prior to publishing. If there is a reprint I would hope that the author would revise the manuscript and correct any errors before publication. 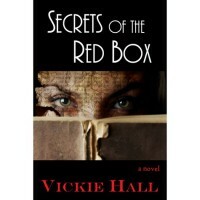 Secrets of the Red Box is not a book without flaws but overall the flaws are bearable. I can’t recommend that you rush out and immediately purchase a copy of this book but I wouldn’t pass it over if I caught it at a sale price or at a low price for my Kindle. It’s a good rainy day mystery or a good travel book.